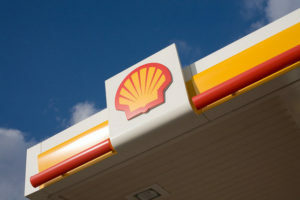 Selected Shell service stations in the Netherlands and the UK are to gain rapid charging points for electric vehicles, due to go live by the end of 2017. The new charging stations will mean drivers can gain 80% of their battery range within an hour. Working with Dutch charging point manufacturer, Allego, the 50kW chargers will be installed at unconfirmed sites in Randstad, the western part of the Netherlands containing its four largest cities, and in Greater London and the city of Derby. It means drivers can typically gain 80% of their battery range within an hour, depending on the vehicle. They join Allego’s existing network of rapid and slower charging points in the Netherlands, Belgium and Germany. Anja van Niersen, the company’s CEO, said: “We see that people are willing to shift towards electric mobility. But a lack of appropriate level of charging infrastructure and interoperable charging services is one of their main concerns.